zOMG! This kit has all the things! 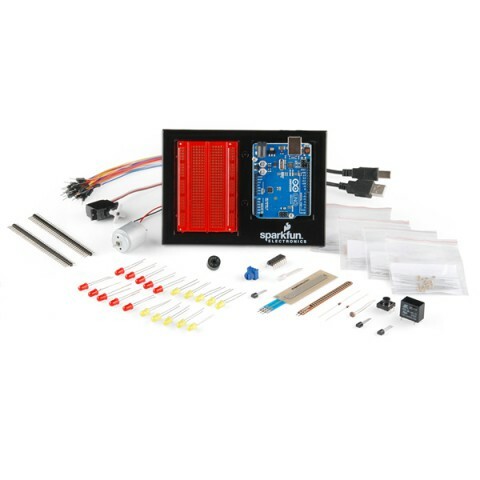 It includes the Arduino Uno R3, the new and improved baseplate, and all the sensors you can shake a stick at. 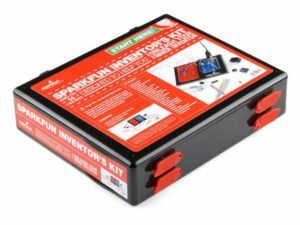 The SparkFun Inventor’s Kit for Arduino is a box of goodies to get the very beginner started with programmable electronics. 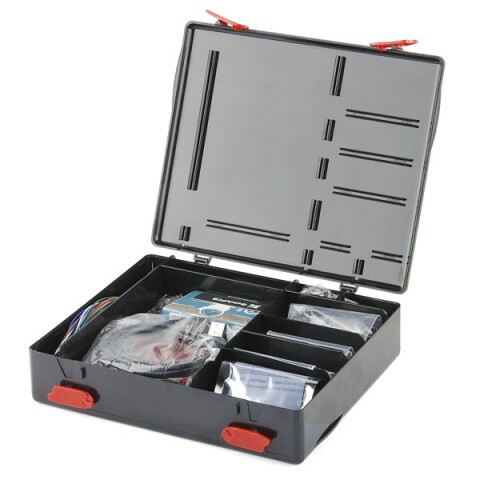 It includes all the bits you need to build a series of basic circuits, no soldering required! 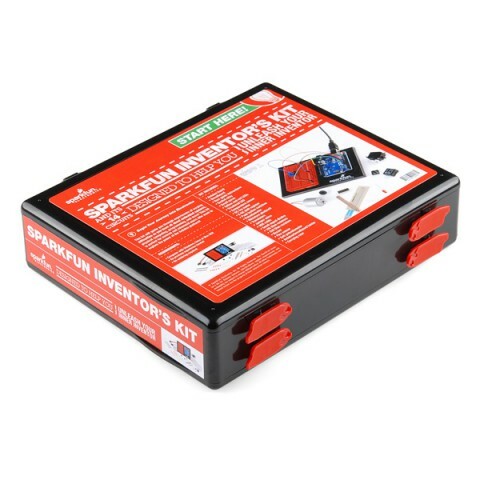 Once you’ve mastered the above concepts, you’ll be ready to design and build your own circuits, so why not get started now?